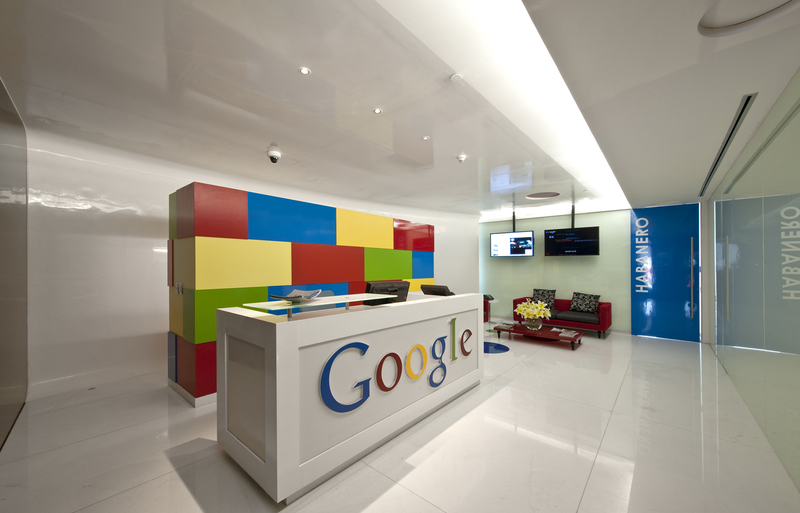 As one of the leading web browser companies, Google needed to have a permanent spot in Mexico City , that actually reflected the brand image. The design concept is really simple…the experience of browsing the web. 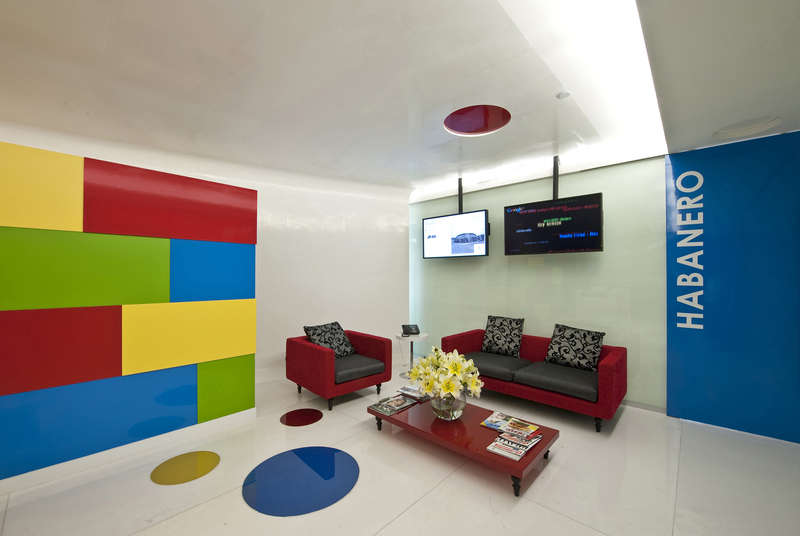 When you enter the reception you find this really white space, with a bright colored back wall and white flooring, wall and ceiling as a never ending wrapping that represent the first encounter to the web. Here you look for what you want, and it is only when you go through the black glass doors that you really find the different ambiances/options that you have to choose from. The transition between the real world and the cyber space. Once inside, color is obvious, different layers that make you discover new things as you walk by. Design as a whole, what happens on the ceiling has a direct repercussion on the floor and walls. Open work space talks about productivity and concentration in the middle of a really busy environment. A central round meeting room that represents the heart of the design, and around which the other meeting rooms and private offices rotate. Then you find a yellow box, a zen like huddle that serves as the transition into the informal work space. 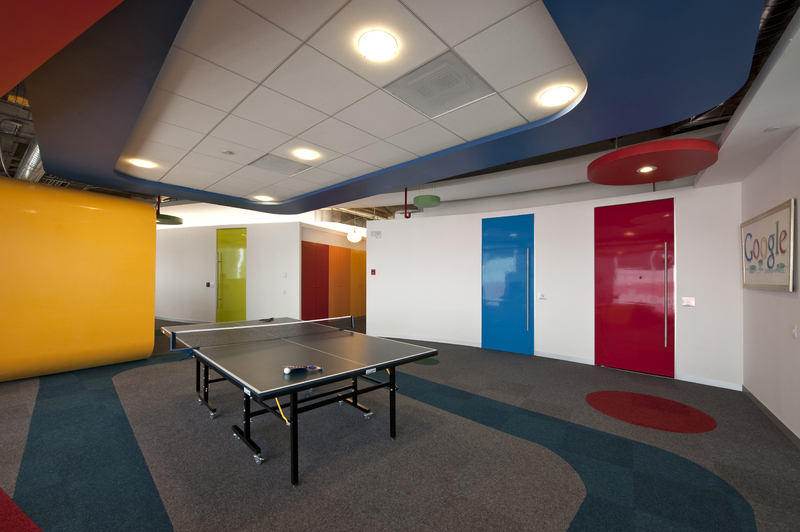 Phone booths, ping pong tables, huddle lounges, shower and the cafeteria set together the image of a plaza inside the office, where most of the work is done in different dynamics. 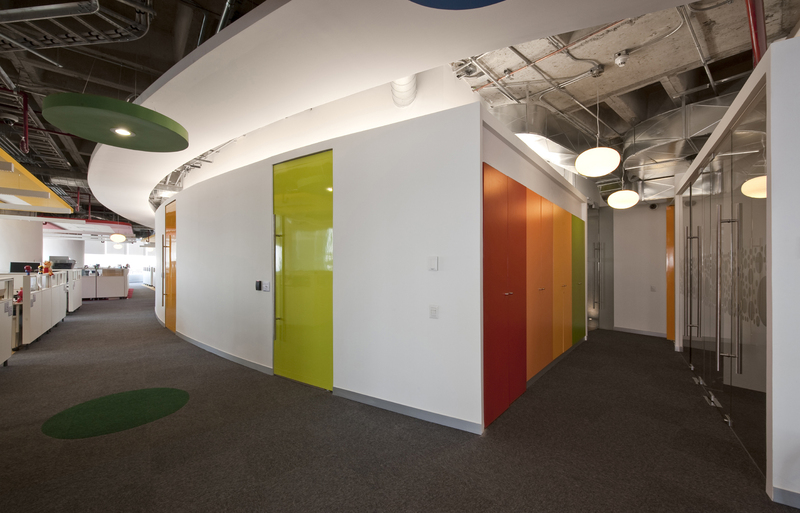 Every door in this office is of different color, giving each one a sense on individuality. Each space has a different name, the names of the different types of Mexican chiles. Food and catering is really important for the company to give to their employees, so the kitchen was an important part in the design, so it turned out to be a very industrial like space with the tetchiest fixtures. The layout can be divided in three, the formal space, where all the workstations, meeting rooms and private offices are; and the frugal space where you can find all the huddles and lounges for informal workspaces; and the magnificent open terrace that domains the most beautiful view of Mexico City. Color and lighting design worked together to really enhanced the look, the productivity and the result. Designed to have little impact in the environment, this offices follow green guidelines such as low VOC´s materials, green carpeting, certified wood, and recycle bins. Google watched very closely the process of design with googler architect Amalia Franke, making sure that everything was according to plan. 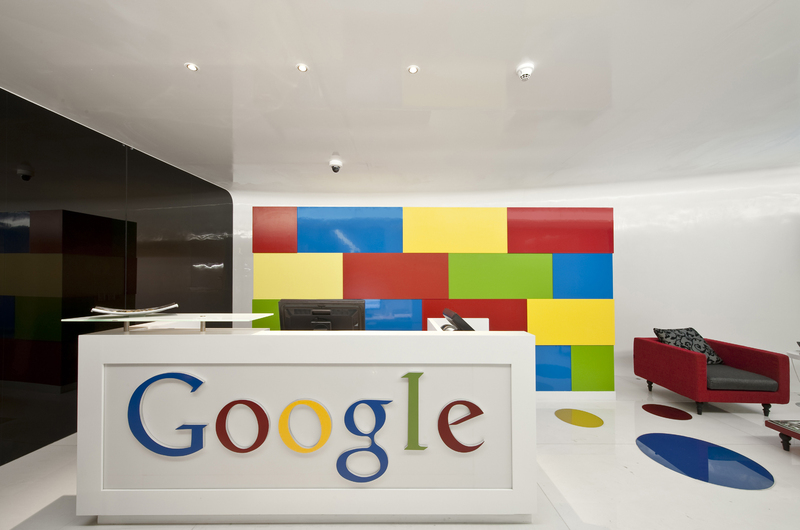 Google works totally different as the majority of companies, and because this is a young company with most employees being gen-Xers we decided to give a fun yet functional ambiance, or as they call it “frugal space”.